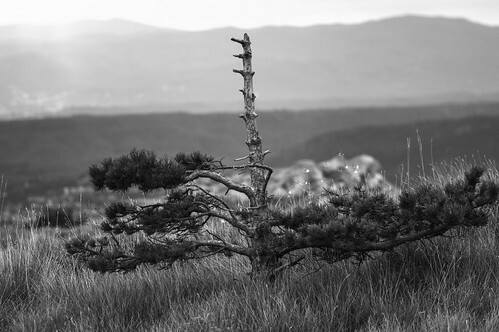 Pine on a mountain Platak, which is located in the hinterland of Rijeka, Croatia. The tree is broken at the top, probably because of gusts of wind that are normal on this mountain. However, the tree does not give up, continued to grow.